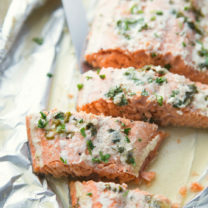 A super seafood dinner that whips up in no time. I’ve said it before and I’ll say it again: shrimp are my favorite seafood to work with. Because they’re so small (shrimpy! ), they cook up super quick, and they go with pretty much everything. Plus, of course, they’re delicious. Shrimp goes perfectly in a pasta dish, because those fast-cooking little morsels make it easy to have your sauce ready to go by the time the pasta is ready. 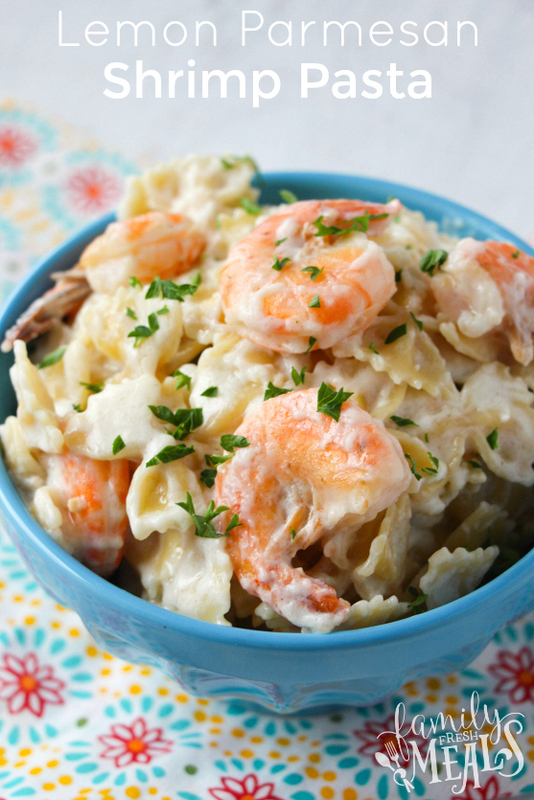 Take this Lemon Parmesan Shrimp Pasta, for example. 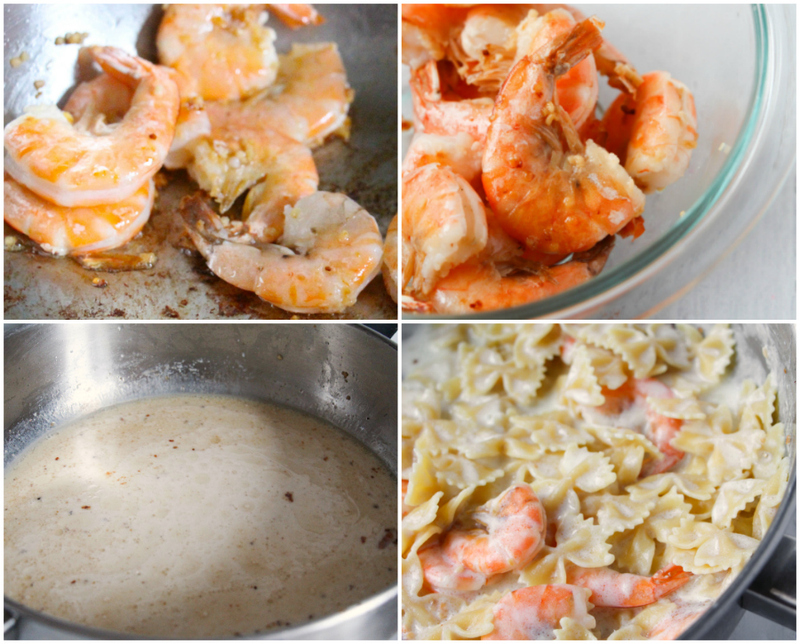 You can heat up your oil, saute your shrimp with some garlic, then whip up a creamy sauce with milk and Parmesan…all in the time it takes your noodles to cook. 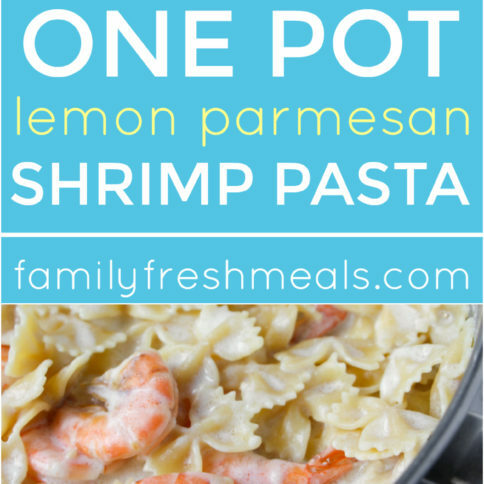 Once the pasta is done, you just toss that with the shrimp and the sauce, give it a drizzle of lemon and a sprinkle of parsley, and it’s ready to go. 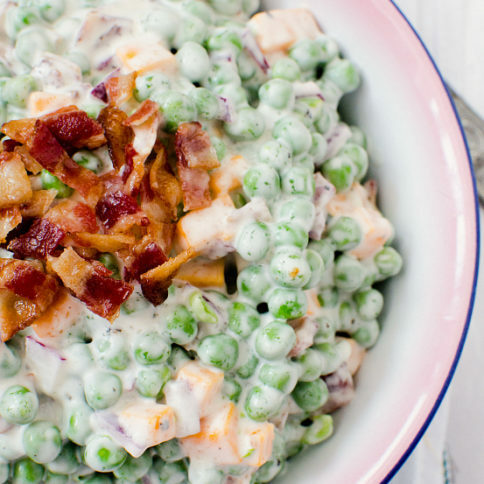 From fridge to dinner table in 20 minutes flat. Shrimp may be little…but when it comes to getting dinner on the table in a hurry, they’re superheroes. Heat the oil in a large skillet. Add the garlic and shrimp and saute, until the shrimp has turned pink and is cooked throughout, approximately 3-4 minutes. Remove the shrimp to a small bowl, and set aside. Add whole milk to the skillet and whisk occasionally, bringing to a simmer. Whisk in cornstarch. Next, Stir in the Parmesan cheese, salt and pepper. Simmer until sauce thickens slightly. Taste and adjust seasoning. Add in the pasta and shrimp, stirring to coat. Right before serving, drizzle the lemon juice over the whole skillet. Serve with a sprinkle of parsley. 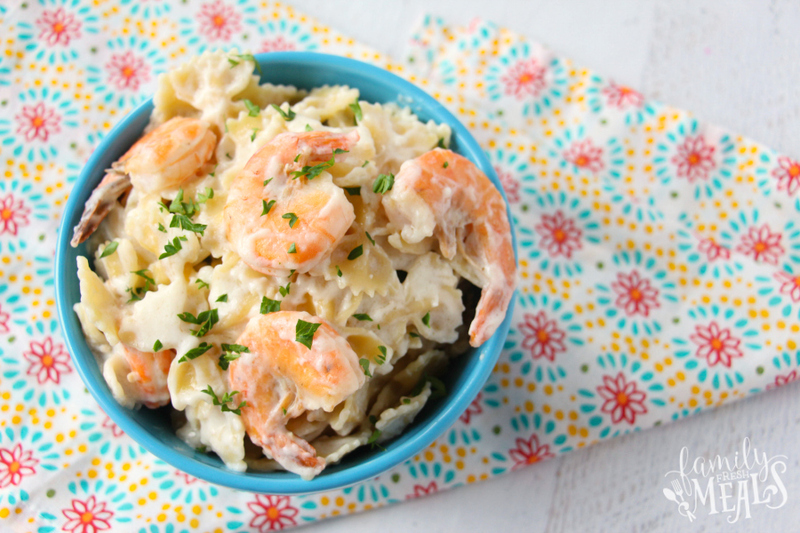 This Lemon Parmesan Shrimp Pasta is a fresh light recipe for Spring. 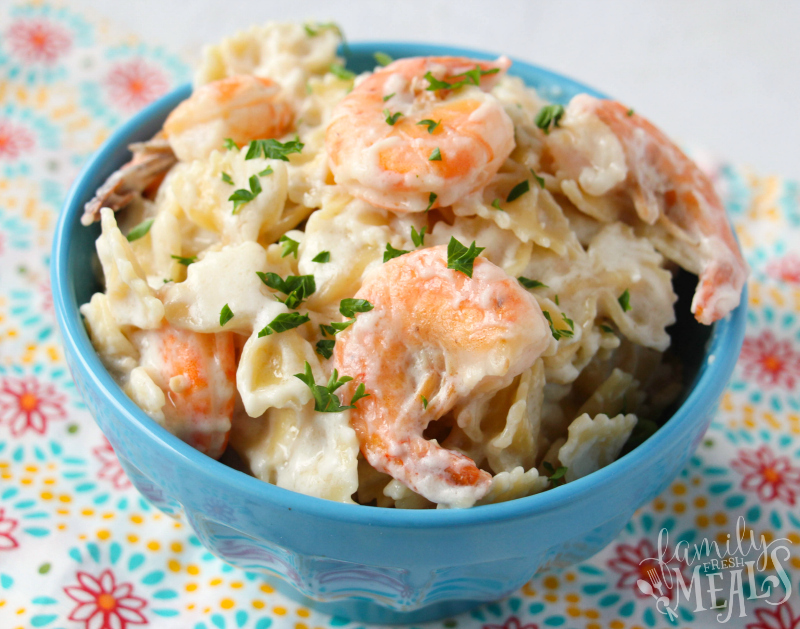 The light creamy sauce complements your shrimp for a perfect family meal. Heat the oil in a large skillet. Add the garlic and shrimp and saute, until the shrimp has turned pink and is cooked throughout, approximately 3-4 minutes. Remove the shrimp to a small bowl, and set aside. Add whole milk to the skillet and whisk occasionally, bringing to a simmer. Whisk in cornstarch. Next, Stir in the Parmesan cheese, salt and pepper. Taste and adjust seasoning. Simmer until sauce thickens slightly, 2- 4mins. Add in the pasta and shrimp, stirring to coat. 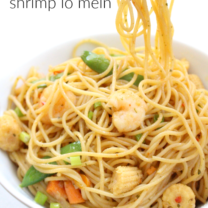 WOW, this shrimp dish REALLY sounds (and looks) as something which my family and I will enjoy, especially since we love shrimp and also pasta pasta. One question: Are you using freshly grated Parmesan cheese, or the Parmesan product from the green jar? Would either one work? I have not yet made this dish, so I’m only giving it 4 stars (for now), but I’m sure that it will ultimately deserve 5 stars. Please let me know about the Parmesan cheese. Hi Again, Corey: I doubled the recipe, and served it when my in-laws came to dinner, to celebrate my hubby’s B-Day. Since I wanted to make this dish extra special, I bought & grated a wedge of Parmesan, since you can’t go wrong with the real deal. Everyone raved about this dish, and the recipe is now in my ‘Special Recipes’ file. My (Italian) mother-in-law was very impressed, and that’s saying a LOT! Thanx for this super E-Z, & delicious recipe. I think that should work just fine Jannet! It does! I made it tonight with Ripple (milk made from peas!) and it turned out delish. I did omit the corn starch since this milk is already thicker than whole. Go for it. This was excellent!!! So good and easy to make. Will definitely be making this again! Cooked this tonight with my college aged son and his girlfriend. 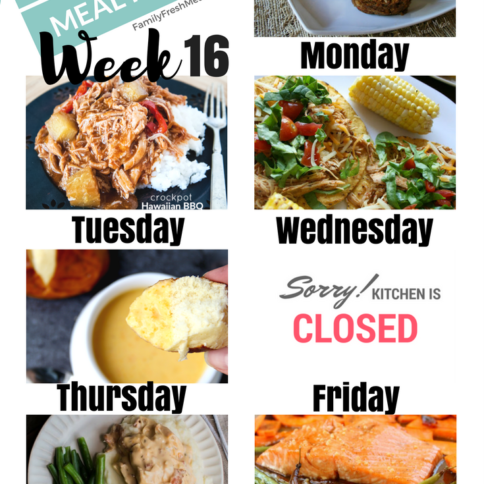 Son will be in an apartment next year and needs to cook. They made this successfully with a little direction from me and really enjoyed it. We talked about how this could be made with diced chicken as well. 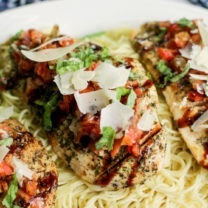 Thanks Corey, this is such a wonderful easy meal.I made this for dinner last night. A BIG hit at our house. Will go in my recipes to keep file.